The island of Crete is best seen by road. By hopping in a car and setting out on the highways, you are giving yourself the freedom to explore its stunning landscape on your own terms. From the traditional fishing villages of Elounda to the museums of the capital, Heraklion, there is culture to be uncovered and roadside attractions to be explored. Ready to hit the road? Here are some suggestions for things to see and do during your road trip. 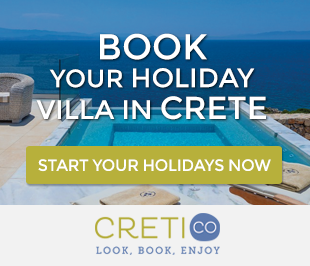 What better place to start than the capital of Crete? Begin your road trip with a visit to the Knossos Palace, the location of the most well known Minoan palace all over Crete. The Knossos Palace is the center of many myths, such as the Labyrinth and the Minotaur, Daidalos and Ikaros. Spend some time exploring the museums to get a better understanding of Crete’s culture and history. Some worthwhile places to visit include the Historical Museum of Crete, Heraklion Archaeological Museum, Natural History Museum of Crete, Cretaquarium Thalassocosmos and the folklore museum of Lynchnostatis. Only 25 kilometers east of Heraklion, this town is well known for its clubs, resorts and hotels. Nightlife and entertainment is what Hersonissos does best and if you want to experience what it has to offer, coming for an evening or overnight stay is a good option. Another benefit of a stay in this village is its prime location near some of Crete’s best attractions. About an hour drive from Heraklion, this cosmopolitan city consists of a small fishing port, several beaches and a town square filled with restaurants and bars.While it used to be a fishing village, it is now quite a popular resort town. Boasting some of the islands most expensive hotels, tennis courts, golf courses and even a helipad, this village draws in a more luxurious crowd. In fact, the area is known to attract political figures, athletes and popular stars from the entertainment industry. It’s beauty makes it all worth it for visitors as it overlooks the coast and bay. The beaches here are said to be the best in Crete, making it an obvious choice for the rich and famous as well as those who are tired of the city bustle. Also known by the name Kalydon, this island sits in the Gulf of Elounda, next to the village of Plaka. It has experienced the rule of the Ottomans and Venetians, suffered Arab raids and was once a leper colony in the 20th century. 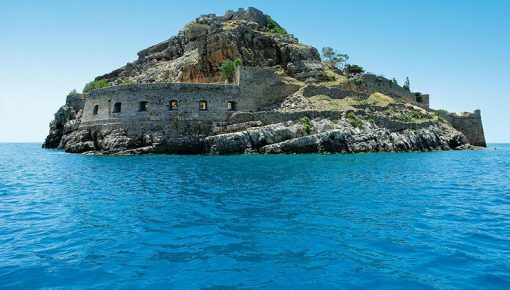 Over the years, Spinalonga suffered from pirate raids, leaving it a desolate area for a long time. However, once in the power of the Venetians, it was protected by forts from intruders and got a boost to its economy and population. With such a colorful past, this island is seen as one of Crete’s most interesting attractions. This medium sized town was built upon ancient remains and faces towards the ocean. It is known to features a mix of artistic, and bustling characteristics and offers plenty for visitors to do. Wander around to the lake, explore the culinary scene at the restaurants and taverns or do some shopping in the boutiques. 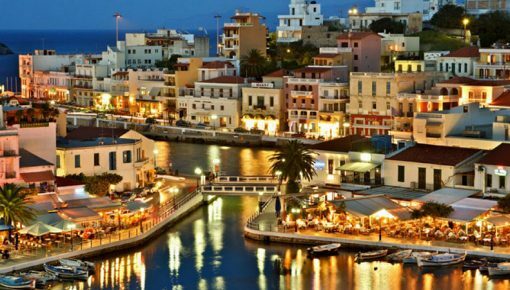 Agios Nikolaos has often been described as a place for romantics and “lazy” people. 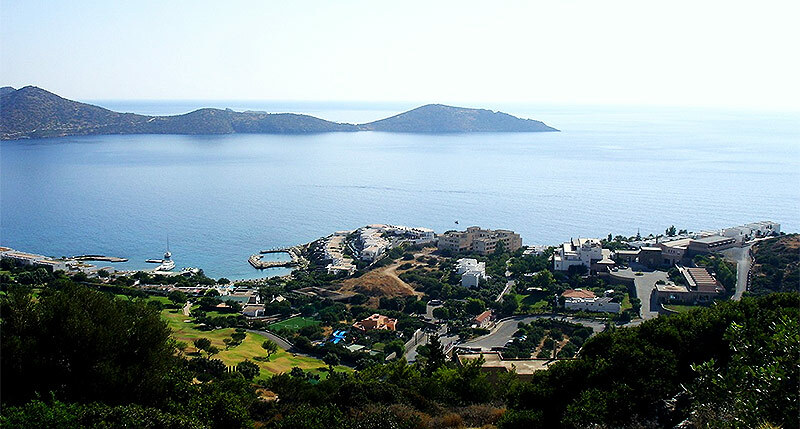 With such a close proximity to Elounda and Spingalonga Island, it fits in perfectly on a road trip. Visitors here tend to take day excursions by boat along the Gulf of Mirabello and evening journeys along the waterways for nights of dining. 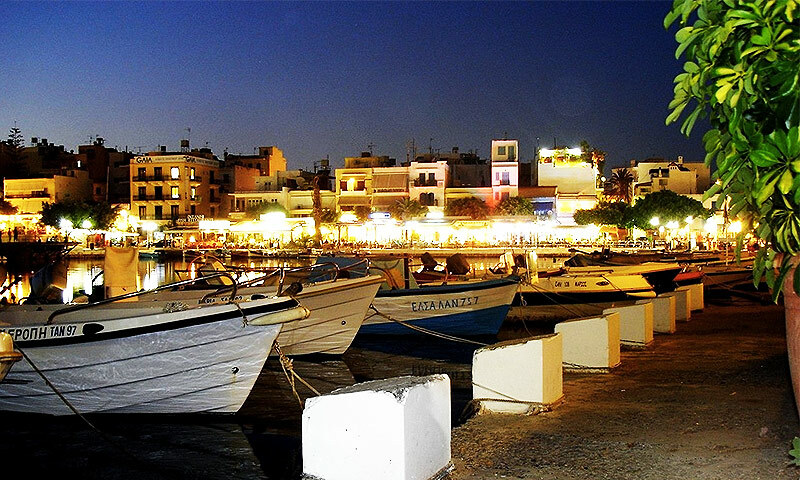 Whether on land or at sea, people who visit Agios Nikolaos always have a good time. No matter which route you take, there are plenty of villages, cultural attractions and ancient sites to see along the way. Choose which places excite you the most and start a road trip around Crete that you’ll never forget. Start this road trip with a rental car by Rental Center Crete. A car hire company that offers services all over Crete island, since 1975. They provide benefits such as full insurance without excess, unlimited kilometers, theft insurance and more. Rental Center Crete also offers a large variety of car models (52+) that are available for any summer trip or a quick city-break in Crete Island. Book a car now and pick it up either in Chania Airport or Heraklion Airport. Posted on 19 Apr 2016 in Trip Ideas and tagged Agios Nikolaos, Elounda, Hersonissos, One Day Trips In Crete, Scenic Routes in Crete, Spinalonga.